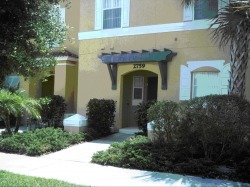 Our wonderful town house, is nestled on the popular resort, of Emerald Island Celebration, Kissimmee. 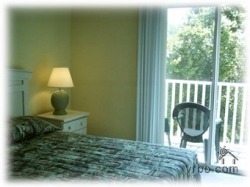 This popular resort, offers all the amenities of a top class resort, in Central Florida. Our home has 3 bedrooms, master is ensuite and another Queen bedroom, with an adjacent twin bedded room, with additional shared bathroom. You will be extremely comfortable, in our spacious lounge, the patio windows open out onto a view of unspoilt countryside, the dining area is conveniently placed, just off the lounge, seating 6, which is conveniently just in front of the well equipped kitchen. 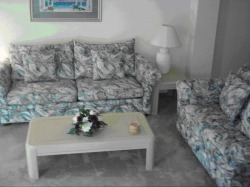 The extra bathroom is downstairs, just off the kitchen, behind the laundry room, everything is supplied for your enjoyment, in this wonderful home, just bring the toothbrush and enjoy all the amenities of this wonderful resort, 5 minutes from Disney, the shopping and the golf courses. Our comfortable lounge provides a welcome rest area for enjoying the TV or the views of the conservation area through the patio windows. Our queen bed has an en-suite and a balcony to provide unspoilt views of the wildlife just outside the window. 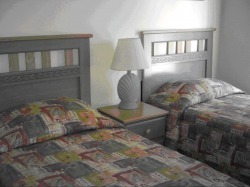 Young and old alike can rest in our comfortable room with small walk in closet and shared bathroom.